Have you experienced how easy a Baby Lock serger is to use? Grab your friends and favorite beverages for a fun social event! 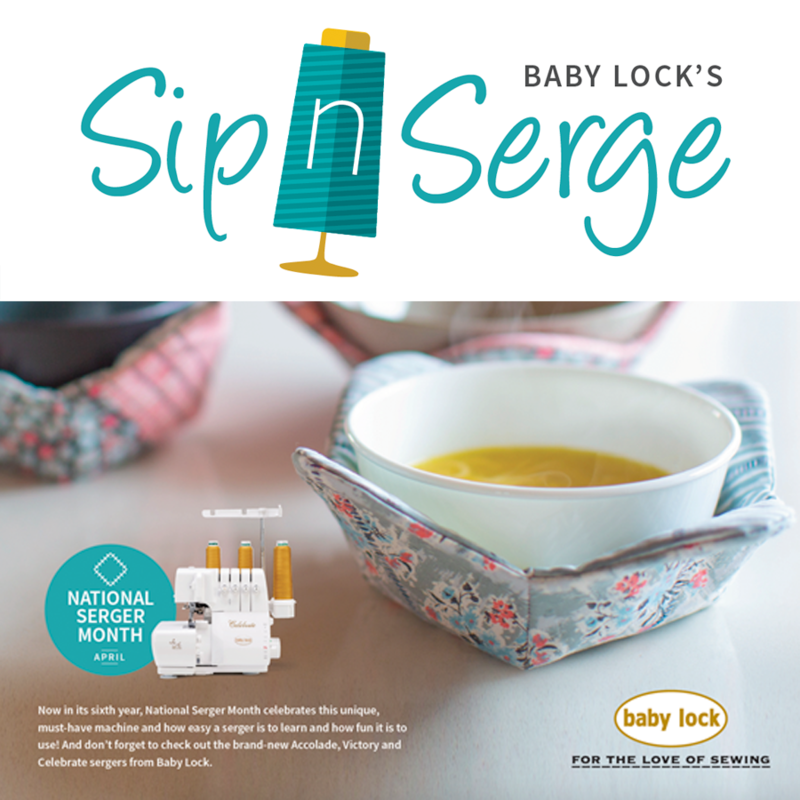 As part of National Serger Month, we're hosting TWO Sip N Serge Events. Choose to come to our evening event on Wednesday, April 24th from 5:30-7pm OR join us for our morning event on Thursday, April 25th, from 10:30-12pm. No experience necessary. Just bring your own beverage and we'll set you up with everything else you need - including the serger, fabric, and instructions to make a handy microwave bowl cozy to take home with you!